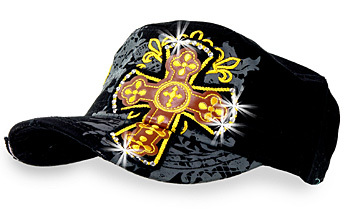 Multiple embroidered crosses decorate the front of this intentionally distressed, 100% cotton Cadet Cap. It features a larger cross outlined with rhinestones. A size adjustment is on the back.